Contemporary clinical guidelines endorsed that glycemic control is the ultimate goal in the management patients with diabetes. The aim of this study was to assess the prevalence of glycemic control and to identify predictors of poor glycemic control in patients with type 2 diabetes (T2D). A cross-sectional study was conducted among systematically selected 357 diabetic patients. Data were collected through direct patients’ interviews and medical chart review. Binary logistic regression analyses were performed and analyzed using SPSS version 22.0. Participants’ mean age was (± SD) 56.1 ± 11.6 years. Nearly four in five (77.9%) of the participants had comorbidities, mainly of hypertension, and 60.2% had diabetic complications, mainly diabetes neuropathy. Poor glycemic control was found in 68.3% of the participants with a mean (± SD) FBG of 174.1 ± 48.9 mg/dL. Being female gender, having greater body mass index and low medication adherence was significantly associated with poor glycemic control. In conclusion, the overall aspects of glycemic control level of patients were far from the standards. Being female, greater body mass index and poor medication adherence were predictors of poor glycemic control. In response to this finding, an aggressive intervention that targets in improving the glycemic control is required. The online version of this article ( https://doi.org/10.1186/s13104-019-4248-6) contains supplementary material, which is available to authorized users. Diabetes is a chronic metabolic disorder characterized by persistent hyperglycemia due to a deficiency in insulin secretion, insulin action or both [1, 2, 3]. Diabetes is one of the leading health problems of this century. The prevalence of type 2 diabetes (T2D) is increasing over time. Likewise, the prevalence of people living with diabetes in Ethiopia is substantially increased from time to time. Thus, increased from 3.8% in 2014 to 5.2% in 2017 [3, 4, 5]. Glycemic control is the ultimate goal of management of diabetes [2, 6]. Adequate glycemic control helps to reduce or delay the burden of diabetes complications . According to the International Diabetes Federation and the American Diabetes Association guidelines, glycated hemoglobin (HgA1c) value is the most recommended monitoring parameter for appropriate glycemic control status. Thus, the value of HgA1c within the last 3 months is indicators of patients’ glycemic control [2, 8]. Many studies reveal an association between HgA1c values and diabetes complications. Reducing HgA1c values significantly decreases diabetes complications and the overall death from diabetes [9, 10, 11]. Thus, early and adequate glycemic control improves macrovascular outcomes  and diabetes complications [13, 14, 15]. Achieving optimal glycemic level may not be an easy task. It depends on the type of treatment received patients’ adherence and comorbidities [2, 3]. Likewise, risk factors, obesity, biological and psychosocial factors are responsible for differences in glycemic control . Limited data are currently available that evaluate the relationship of glycemic control with lifestyle, clinical characteristics, and treatment pattern. Hence, the primary purpose of this study was to identify predictors of glycemic control status in T2D patients. A hospital-based cross-sectional study design was conducted from August 2017 through July 2018 at Tikur Anbessa Specialized Hospital (TASH). This hospital is the largest public referral and teaching hospital in Ethiopia which is affiliated to Addis Ababa University. The hospital has about 800 beds and is in the provision of complicated diagnostic and treatment services for about 500,000 patients a year. During the 3 months’ study period, about 2160 diabetes patients were expected to visit the diabetes clinic (Fig. 1). We calculated the minimum sample size of participants using a single population formula, by taking 50% of population and found 384, adding 10% contingency = 423. Out of these, 357 patients were selected using systematic sampling technique. The inclusion criteria were confirmed cases of T2D aged 18 years and above, ambulatory patients with T2D who were taking at least one antidiabetic drug, patients with T2D who had regular follow-up in the diabetes clinic for at least 1 year. Data were collected through patient interview using structured questionnaire designed for this study. The questionnaire was included questions about sociodemographic details, (includes as gender, age, marital status, level of education and employment status), questions about the patients’ clinical characteristics (includes diabetes complications, comorbidities and duration of diabetes) and questions about the patients’ lifestyle details (includes physical activities, alcohol use, smoking and dietary plan). Variables extracted from medical chart were medications taken by the patients for diabetes and other comorbidities, laboratory values for diabetes and related medical conditions. Anthropometric measurement values; includes height and weight, body mass index (BMI) and waist circumference (WC) were obtained at the time of interview. Data were entered and analyzed using EpiData Manager Version 4.0.2.00 (EpiData Association, Denmark)  and SPSS version 22.0 (SSPS Inc., Chicago, Illinois, USA), respectively. Descriptive statistics and binary logistic regression model was used to investigate predictors of poor glycemic control and presented using Odds Ratios (ORs) with its 95% confidence intervals (CIs). Statistical significance was considered at p-value < 0.05. Adequate glycemic control it was defined as average fasting blood glucose measurement between 70 and 130 mg/dL or HbA1c < 7%. Poor glycemic control it was defined as patients whose average blood glucose measurements of the three consecutive visits was above 130 or below 70 mg/dL or HbA1c > 7% [2, 3, 8]. A total of 357 study participants were included in the study. The mean (± SD) age of the study participants was 56 ± 11 years. More than half, 189 (52.9%) of the participants were females (Table 1). The clinical characteristics of patients with T2D are described in Table 1. The mean duration of the diabetes disease since diagnosis was 11.64 ± 6.95 years. Comorbidity in these study participants was considerable, 278 (77.9%). The most common comorbidity was hypertension, 188 (65.5%), followed by dyslipidemia 171 (60.9%) and ischemic heart disease 37 (13.1%). Moreover, 215 (60.2%) participants had developed at least one chronic diabetes complications. Furthermore, more participants (60.2%) with poor glycemic control had one or more diabetes complication. Diabetic neuropathy was the most (46.8%) commonly reported diabetes complications. Moreover, the mean (± SD) BMI of participants was 27.15 ± 4.6 kg/m2. Of these, the majority (76%) of the obese (> 30 kg/m2) participants were females. However, more than 70% of the participants have been reported as they are adherent to regular physical activity. More than half (53.8%) of participants were on oral glucose-lowering drugs (OGLD) alone (with no insulin as a component of their drug therapy), followed by OGLD plus insulin (27.7%) and insulin alone, with no OGLD (18.5%). The most frequently prescribed antidiabetic agent was metformin (78.4%) (Additional file 1). In addition, glycated hemoglobin (HgA1c) is the gold standard for monitoring blood sugar, but in our clinic very few (14.8%) of the participants had HgA1c results. The mean of FBG level for the last three consecutive visits was 174.1 ± 48.9 mg/dL. Of the studied participants, 68.3% of participants were found to have poor glycemic control. As illustrated in Table 2, the predictors statistically significant with poor glycemic control in the multivariable analysis were being female gender, BMI (> 30 kg/m2) and poor medication adherence. From the AOR, being female gender (AOR = 1.59, 95% CI 1.20–2.38, p = 0.041) was positively associated to have poor glycemic control. Moreover, the odds of poor glycemic control among participants who had obese was increased by more than three times (AOR = 3.51, 95% CI 1.82–4.01, p = 0.027) compared to participants with normal body weight. On the other hand, the odds of poor glycemic control among patients who had poor adherence to their medication were five times (AOR = 5.10, 95% CI 1.18–6.55, p = 0.001) more than patients who had high adherence to their medication. From this study, we found that more than two-thirds (68.9%) of the patients had poor glycemic control. This proportion is comparable with studies conducted (70.9%) by Kassahun et al. and 71.9% by Hailu et al. . However, this finding was lower than that found from other Ethiopian studies that reported as 81.7% by Angamo et al. . In addition, this percentage was higher than the percentages found in Ethiopian (61.5%)  and Jordanian (60.8%) patients with T2D . This level of clinical outcome may require a comprehensive approach to working with patients to achieve the intended glycemic level. Furthermore, more than half (53.8%) of participants were on oral OGLD alone (with no insulin as a component of their drug therapy). This percentage was consistent with the finding (54.4%) reported by Weng et al. . The most frequently prescribed antidiabetic agent used as monotherapy and/or combination therapy with at least one other oral and/or insulin was metformin (78.4%) . Thus, it seems to suggest that some level of clinical inertia, where physicians might be slow in responding to the clinical parameters. Indeed, a lack of achieving glycemic control might also be explained by missing of the right drug therapy, although 26.1% of participants were receiving two or more antidiabetic agents in their recent visit. This allows in evaluating the effect of different characteristics and medications and to make the necessary regimen change and dose adjustment to achieve the anticipated goals of therapy. Results obtained from multivariable analysis indicated that differences between participants due to factors associated with poor glycemic control were being female, greater BMI (> 30 kg/m2) and low to medium medication adherence. Moreover, females with T2D were more likely to have poor glycemic control. This was consistent with the study conducted in Ethiopia  and abroad . In fact, in our study, a low dose of antidiabetics that need to be titrated their dose was higher in female participants than male participants (67.2% versus 23.8%, p = 0.03). This is agreed with the study found that women had needed a higher insulin dose/kg than men . Hence, we recommend that prescribers need to be aware of the need to titrate insulin dosing and intensify the treatment pattern, principally in women participants with poor glycemic control as they are more obese and accumulated bad cholesterol than men with diabetes, to achieve the intended glycemic target. In the present study, the reason could be due to: (1) Ethiopian female might not attend their follow up therapy as needed as male due to additional workload in home and thus be less likely to follow their drug therapy attentively (2) less adherent to their lifestyle modification therapies, like regular physical activity. In fact, this could be related with obesity, 76% of participants with > 30 kg/m2 BMI was found among female participants of this study. A good explanation for such issues was supported by WHO  and Lester , which reported more physical inactivity, obesity and overweight were observed in Ethiopian females than males. This is in agreement with three different studies, implies fewer women were achieved their glycemic target compared to men [25, 27, 28]. Gender difference influences the liability to diabetes therapies; negatively affect accessing health services and amplify the impact of diabetes on them. Thus, many women in the world had poor accesses to treatment, care and education . Lifestyle modification is an important non-pharmacological therapy in reducing risks for patients with diabetes. 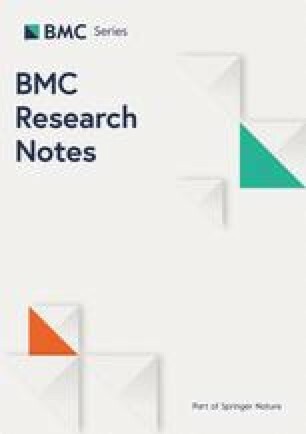 In this study, we found that the odds of participants with poor glycemic control were also increased with BMI (≥ 30 kg/m2). In line with studies reported in Tehran as waist circumference was a predictor for poor glycemic control in female patients with T2D  and the percentage of patients with poor glycemic control increased as BMI increases . In line with a study carried out by Kassahun et al. , in our study, poor medication adherence was also found as an important predictor of poor glycemic control.. This could be an indicator, in which patients might have poor knowledge about their illness, medications, and/or poor provision of counseling service. These outlooks are questionable, whether health care providers are not doing what was needed to support their patients in creating awareness their illness and prescribed medications or patients’ related factors. This study was highlighted that poor adherence is an important factor for poor glycemic control. However, medication adherence should not be supposed as the patient’s problem alone. It might due to frustration to agree on the prescription entirely with the patient and/or failure to provide continuous support that the patient needs once the drug has been dispensed. Hence, need to establish patients’ perspective in ensuring and inspiring to discuss the aim of their drug therapy to resolve such problems related to medication adherence. More than two-thirds of the study participants had poor glycemic control which is far below the recommended standards. Being female gender, obese (BMI > 30 kg/m2) and poor medication adherence was predictors for poor glycemic control. Thus, seems to emphasize the need for a modification in the approach and strategies in diabetes care in achieving the intended glycemic target. The inherent nature of cross-sectional retrospective study design that does not show a temporal association could be a limitation. Another limitation was FBG measurements; obtained from medical records that may be subjected to measurement errors could be lead to underestimated or overestimated. However, effort was made to overcome this issue by taking the mean average of the last three consecutive visits of FBG measurements. GTD was made substantial contributions to the conception, design of the work, methodology, analysis, data interpretation and wrote the final manuscript. AG, YLN, GG, GW and DB had equally contributed to analysis and interpretation of the data. WS, HY and MA have made substantial contribution in reviewing overall the study in analysis, interpretation of data, have drafted the manuscript and substantively revised the work. All authors reviewed the submitted version of the manuscript. All authors read and approved the final manuscript. Authors would like to acknowledge individuals who involved in data collection and participants for their dedicated work and valuable input. The study was approved by the Institutional Review Board of Addis Ababa University, College of Health Sciences, and subsequent permission was obtained from the Endocrine and metabolism clinic of the hospital. The methods were carried out in accordance with the relevant guidelines and regulations. Written informed consent was obtained from all participants. Participants were informed about their rights to refuse or withdraw, and confidentiality of the individual information obtained. Additional file 1. 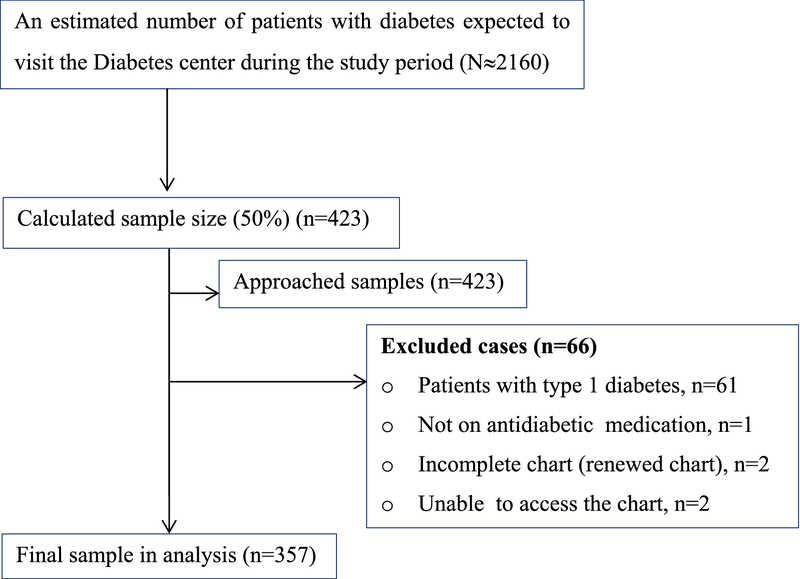 Medication profiles among patients with T2D on follow up at diabetes center, Ethiopia, 2018.
International Diabetes Federation. IDF-WDD (world Diabetes Day), 2017 event. Secondary International Diabetes Federation. IDF-WDD (world Diabetes Day), 2017 event December 2, 2017. 2017. http://worlddiabetesday.org/about-wdd/wdd-2017/wdd-2017-event.html. Accessed 21 Sept 2018.